If American foreign policy lacks anything, it is imagination. When 2016 presidential contenders speak about the rest of the world, their rhetoric is often superficial and predictable. It seems the country’s strategic thinking is succumbing to a creeping “Russification” — an obsession with neo-imperial greatness and jingoistic patriotism. Irrespective of party label, America’s political elites and resident media experts have framed the country’s position in the world as a straightforward choice between strength and weakness: Unless America retains a permanent and dominating presence in every significant region of the world, a dystopian “war of all against all” will reign. Into this inevitable vacuum will leap “bad actors,” such as China, Iran and Russia. The delicate stability that supports the global economy will be upended and the American homeland will be under relentless threat. The assumption is that America’s role in the world is fateful and irreversible rather than a matter of choice or an accident of history — what America’s often globally unaware public thinks of this is beside the point. In this way, American liberty has been exchanged for the authoritarian tribalism of, among others, Vladimir Putin’s Russia. The Kremlin’s appeals to cheap nationalism should fall flat in places that feature more nuanced and thoughtful discussion on foreign policy. As should its subjugation of the dignity, happiness and prosperity of its citizens to the interests of the state. Nevertheless, the Russian president enjoys the budding respect and silent support of some on the American left and the right. They yearn for a leader as strong as Putin or one less hypocritical than those on offer in Washington DC. Just as many Russians have come to glorify a supposed resurgence of the nation’s strength and revanchism on display in southeastern Ukraine, so too are there Americans blurring the humble values of their country with its self-imposed role in the world. The degradations of this thinking to America’s economic position, domestic life and long-term international standing have been legion — an overstretched economy kept afloat by artificially low interest rates and central bank bond buying programs, a hypermodern military infrastructure juxtaposed with a dilapidating domestic one, an erosion of individual privacy, rights of legal due process and property and thousands dead and wounded in foreign wars. Whereas Russia’s expansionism is leading to international isolation and an economic dead end, America’s interventionism has made it the world’s ultimate practitioner of moral hazard. With no competing narrative given serious consideration and with its political elites fully beholden to the “America or chaos” dichotomy, countries around the world have grown accustomed to free riding on America’s security guarantees to pursue their separate interests. Tactically driven warfare, in which every potential problem in a designated global “hotspot” is America’s problem, has become almost second nature. The British and French embraced this paradigm with zeal throughout the nineteenth century, as manifested during the Crimean War of 1854–56 fought for no other reason than to prevent Russia from possibly gaining more influence and prestige in the Mediterranean. To keep Russia out and safeguard Turkish control of the Mediterranean’s access routes, the British, French, Sardinians and Turks deployed almost one million troops on the Crimean Peninsula against an almost equally sized Russian force. By the end of the war, both sides had lost close to half a million men. Russia lost some of its finest naval commanders and explorers while the Anglo-French forces suffered tens of thousands of casualties to exposure, disease, frostbite and malnutrition. After it was over, the allies packed up and went home while Russia stayed out of the Mediterranean for a time and neutered its Black Sea Fleet. Within a decade, things effectively returned to the status quo ante bellum and people began to wonder what the point of it all was. To rescue the United States from the nineteenth-century trap of recurring tactical wars and reinvigorate its constitutional, republican founding principles, it is imperative to introduce a new foreign policy vision that is realistic in the medium term and appealing over the long term. Recognizing that the status quo does not permit Washington to immediately adopt a narrower and more neutral foreign policy model, the option of rapid isolationism toward a fortress America does not exist. But neither can the United States afford to become more and more interventionist. The solution is a compromise third way: a foreign policy lying on a spectrum between the permanent neutrality of Switzerland and a calculated, narrow national interest approach of former Portuguese leader Antonio Salazar’s Estado Novo (New State). At first glance, the Swiss option of permanent neutrality is a tempting long-term goal. The country, boasting a decentralized federalism of which America’s states’ rights and Tenth Amendment activists could only dream, has been de facto neutral with respect to all armed conflicts since the Treaty of Freiburg with France in 1516. Although Swiss auxiliary forces participated in several French campaigns in Italy, the country did not engage in anything like sustained conflict until Napoleon’s invasion and establishment of the Helvetic Republic. After Napoleon’s defeat, the European powers guaranteed Swiss neutrality at the Congress of Vienna and the Treaty of Paris, a status reaffirmed after the First World War. 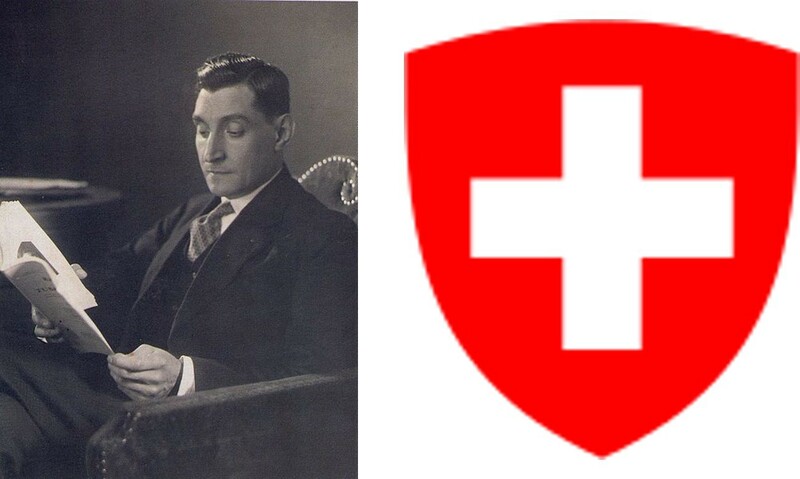 In return for its abstention, Switzerland has bound itself not to enter into alliances that may lead to military action and is expected to follow the rules of neutrality to the letter in the event of conflict among its neighbors. In exchange for this, Switzerland has enjoyed almost five centuries of peace while its people were allowed to forge a politically decentralized, culturally tolerant and economically buoyant state. The Swiss have among the highest levels of income per capita in the world, some of the most advanced and well-maintained transportation and high-end manufacturing infrastructure, exceedingly competitive (and largely localized) tax regimes and a rotating federal executive where the head of government is primus inter pares with colleagues from other political parties. While American policymakers debate the extent of intervention necessary to resolve tribal conflicts in Iraq and Syria or how to assuage the concerns of the Sunni Arab states against Iran, the Swiss quietly go about their domestic business. Notwithstanding Switzerland’s economic and political achievements, it is unrealistic for America to sign the equivalent of a Treaty of Freiburg and resign itself to permanent peace today. First, with whom would it sign such a peace? For America to embrace permanent neutrality, it would have to unilaterally withdraw from all active and potential military entanglements and interventions around the world. Such a withdrawal would also need to be guaranteed by the world’s major powers, including America’s rivals, which is plainly not going to happen. Second, any step the United States make toward permanent neutrality would compel them to nullify or disassociate themselves from the security commitments they have. Some, like the ongoing, painful involvement in the faux Israeli-Palestinian peace process, are not as difficult to end as they appear. Others, particularly the NATO treaty and its many corollaries, would take considerable effort to unwind. Finally, and in addition to the overwhelming practical difficulties, the centralization of America’s federal system has permitted the country’s interventionist elites to accrue immense power and shield themselves from serious, anti-interventionist scrutiny at the state, municipal and citizen levels. With the Swiss example set aside as something akin to a long-term aspiration, another and more reasonable option for redirecting American foreign policy is the national interest neutrality practiced by Portugal during the reign of António Salazar. An economics professor, Salazar became finance minister in the late 1920s to quell the chronic economic instability that plagued Portugal through a succession of short-lived governments. Having reined in government spending, secured a modicum of economic certainty and installed technocrats in key state positions, Salazar and his allies created the authoritarian, anti-liberal, anti-communist, corporatist Estado Novo in 1933. Although America’s constitutional and individualist core values were anathema to Salazar’s regime, its leader understood the perils of getting the country enmeshed in regional conflagrations. Salazar kept Portugal neutral during the Second World War in one of the shrewdest diplomatic balancing acts in modern European history. First, he issued a letter of neutrality sufficient to formally keep Portugal out of the war and simultaneously protect its centuries-old alliance with the United Kingdom. Salazar assured Britain that although he would stay neutral, it could call on him for help if necessary. No such call was made and this maneuver, along with Salazar’s intimate relations with Francisco Franco’s Spain, helped keep Germany out of the Iberian Peninsula and secure Portugal’s colonial possessions. By the time the war ended, Portugal had kept its economy intact, its gold merchants were making a fortune and its ports were buzzing with activity. The epilogue of Salazar’s reign was more violent: colonial wars in Angola and Mozambique, repression of political opponents, corporatist stagnation and, eventually, a revolution which ended the Estado Novo altogether. Still, Salazar’s dedication to Portugal’s national interest and independence over ideology as well as his determination to keep its empire intact rather than risk everything by expanding its reach guided his nation through some of Europe’s most turbulent times. Politically, the country achieved a period of authoritarian stability after decades of chaos. Economically, it nearly converged with its West European neighbors near the end of Salazar’s reign. As the United States search for a medium-term strategy that would distance them from foreign conflicts and allow for a reassessment of America’s position in the world, policymakers could learn from the Portuguese precedent. Dead-end ideologically ambiguous wars stand as much, if not a greater, chance of bringing a great power to ruin as tactically motivated ones. Washington should shift its attention to domestic concerns and make America a safer, richer and better place to live before committing the country to new adventures in permanently unstable foreign lands. Originally published at atlanticsentinel.com on May 19, 2015. Original and independent research and analysis from the next generation of policy professionals. Welcome to our beta.